Production Reconfigure Contract: 30+ projects over 2 years that involved moving, adding, or modifying production related equipment and systems. HVAC Upgrades: 30+ projects over 5 years. Systematic upgrade of HVAC systems. Fall Protection Installations: A 5-year contract involving the installation of new or upgraded worker safety systems. $250k Contract: 2-year scope that includes tenant improvements, flight line installations, infrastructure, and manufacturing equipment. Schuchart has been awarded this contract multiple times allowing for a continuity of service. Vertical Storage Units: A 6-year contract involving installation the furnishing and installation of vertical storage units used to house parts and material for manufacturing. Puget Sound Maintenance: A bundled 3-year contract. 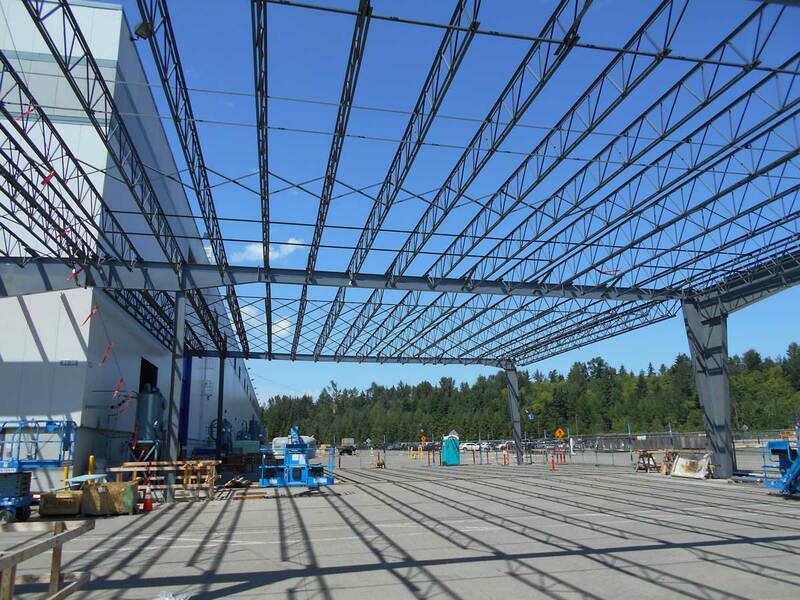 Scope involved all carpentry needs at 14 Boeing sites throughout Puget Sound. 2300 service tickets estimated per year. End-of-Year Painting: A 5-year contract that involved new factory striping, walls, and tools. Chiller Tower Installation: Installation of new utilities and structure to support a new chiller system for the manufacturing process. Stacker Crane Installation: A 4-year contract that included the design, build, install, and programming of a new stacker crane system used for the corrosion control of manufactured parts. Sump Pit Re-coating: Installation of a 12-coat epoxy system on the inside of (4) 5000-gallon sump pits completed over 16 days working 24/7. Project coincided with client yearly shut down.